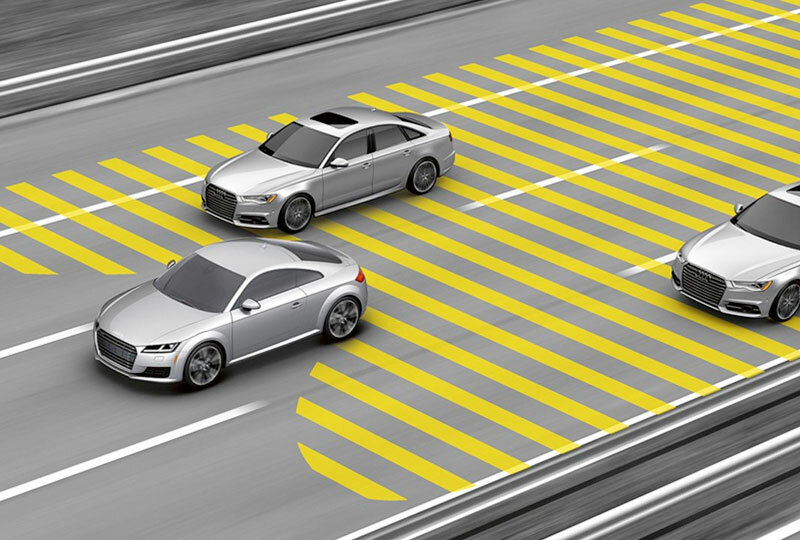 The 2018 Audi TTS Coupe from Audi San Diego in California, serving La Jolla and University City, offers a unique driving experience with impressive power. 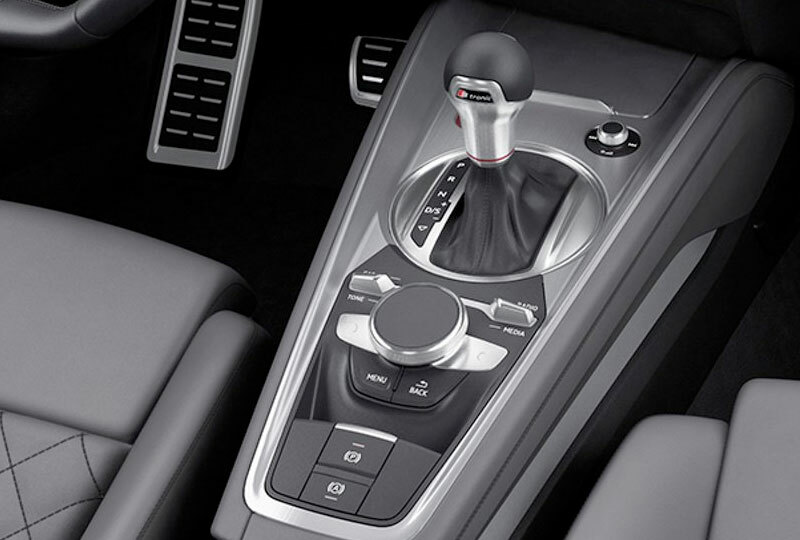 From behind the wheel, you have complete control of the 2.0L TFSI 4-cylinder engine that offers 292 horsepower. Use that power to conquer the road with confidence while bystanders take a double glance at the stunning exterior design. Embrace the feel of premium materials with luxurious leather seating surfaces that offer standard heating. Make changes to your audio selection or enter a new destination for the navigation system using MMI Touch, which includes handwriting-recognition technology. Monitor your speed and other important driver information with the standard Audi Virtual Cockpit that adds a 12.3-inch, digital instrument cluster display. Stay reachable with the Bluetooth phone system that allows you to quickly answer an incoming call while keeping your hands firmly on the wheel. A Homelink universal remote allows you to close the garage door or a programmable gate as you drive away, keeping your day right on schedule. Today is a great day to buy a new 2018 Audi TTS Coupe! We have a great 2018 inventory, so visit our showroom today at 9010 Miramar Road, San Diego, CA. We can't wait to put you in the 2018 Audi TTS Coupe of your dreams! The 2018 Audi TTS Coupe is a vision to behold. The iconic lines are there, but there's additional muscle as well ‐ the signature Singleframe® grille makes its athletic nature known from the start, while the adaptive rear spoiler leaves a lasting impression. 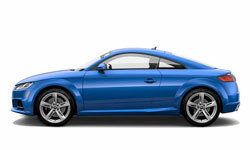 The Audi TTS Coupe features a 2.0-liter TFSI® four-cylinder turbocharged engine that delivers 292 horsepower and 280 lb-ft of torque to all four wheels, going from 0-60 mph in just 4.6 seconds. The advancements are felt with a top track speed of 155 mph. 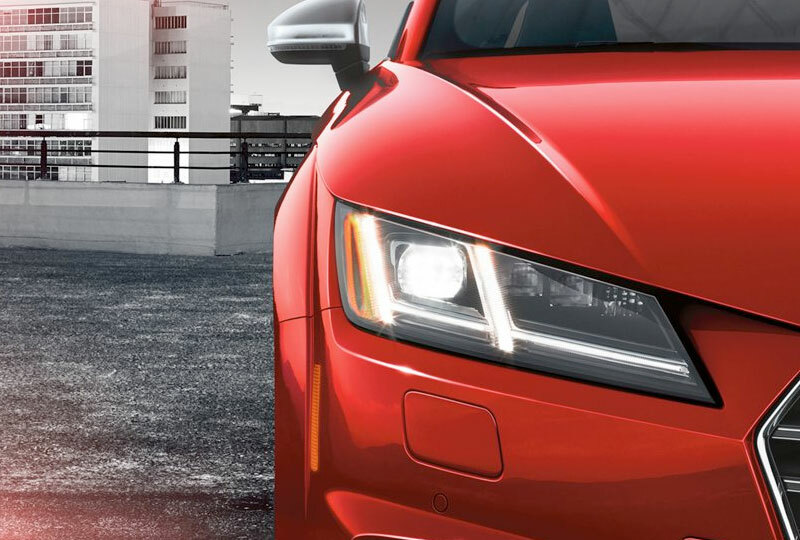 Appointed with a rich infotainment system, the Audi TTS Coupe helps you live the good life. 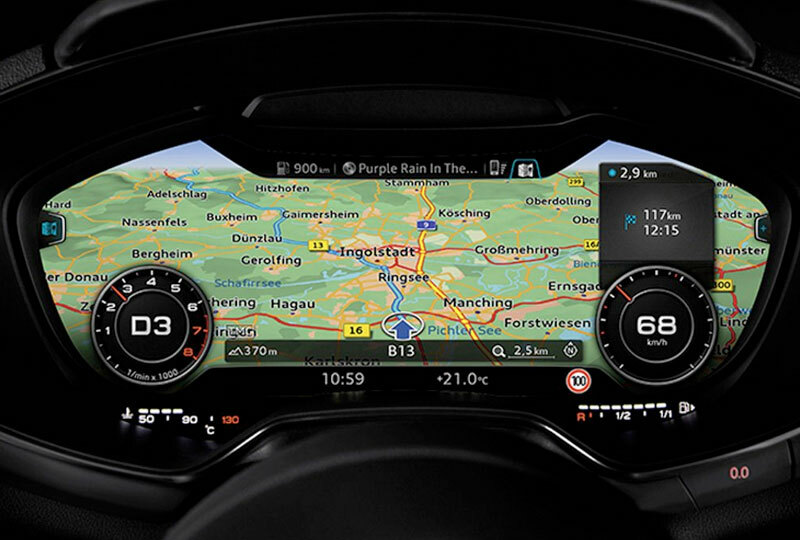 The standard Audi virtual cockpit is a fully digital 12.3-inch instrument display that allows the driver to customize information such as audio and available navigation. Additionally, with sport-specific features such as a centralized tachometer with shift lights, the Audi TTS Coupe showcases its motorsport heritage.